Following "a series of DDoS attacks" on the day of Assassin's Creed Odyssey's launch, Ubisoft is continuing to experience issues with its online services. Yesterday, Ubisoft announced via its official forum it was "currently experiencing a series of DDoS attacks, which unfortunately are a common occurrence for almost all online service providers". Acknowledging it "may impact connections to our games as well as server latency" the publisher took "steps to mitigate this issue" and after several hours, reported the issues as resolved. Replies to the message from @UbisoftSupport intimate that some players are continuing to struggle to connect, regardless of whether they're playing on PC or console. "Hi, I still have problem to connect on AC Odyssey (bought it via steam, I have played it yesterday night, can't play it right now)," said KarlD__. "Any suggestion, I found it very boring to pay and can't play." "Can't login to my account uplay please resolve the issue," said another player. At the time of writing, Ubisoft confirmed that assassinscreed.ubisoft.com tomclancy-thedivision.ubisoft.com starlink.ubisoft.com should now all be working properly, but "are still investigating issues" with ubisoft.com. It's worth persisting with the issues, though; in our Assassin's Creed Odyssey review, Steven said: "Assassin's Creed Odyssey is enormous and beautiful, and it effortlessly ties action, stealth, sailing, faction control systems, mercenaries, and cultist hunting together into one cohesive game that, even after 50 hours, I want to keep playing. 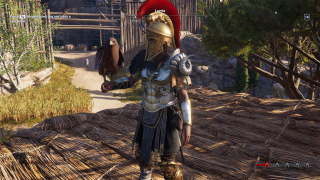 "Odyssey is a lot more than just another Assassin’s Creed, it’s an RPG of unparalleled scale supplemented by satisfyingly layered and deep progression systems that each play their part in bringing ancient Greece to life."